In the latest version of BlueStacks, one can assign keys for any app with BlueStacks app player. Furthermore, the process to map keys is kept as easy as it can be, keeping in mind the users of the application. First of all, launch the BlueStacks App Player. Then click on the app for which you want to Assign the keys. 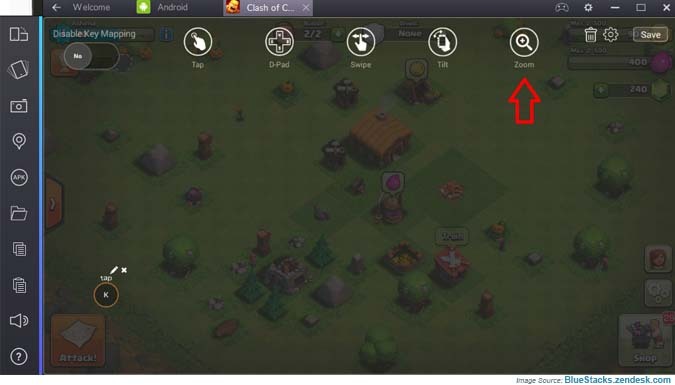 We here will use Clash of Clans as an example application. Now the tool is activated, click on the PENCIL icon in the top right corner. This will take you to a new screen, here you have to now follow the steps from below points. 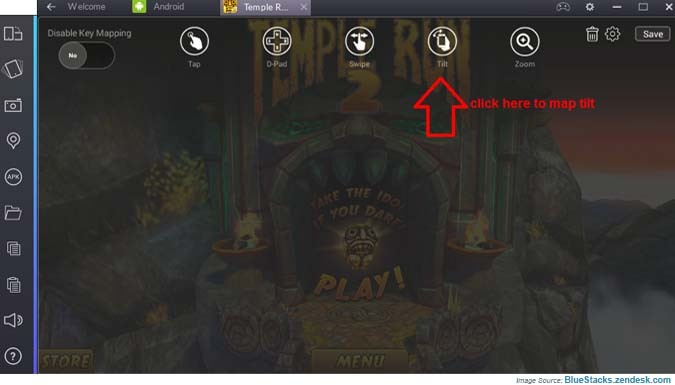 There are total 5 functions which you can select from on the top of the screen. 1. To use the Tap function, drag the tap icon on the screen. At the point where you want to use the tap function. Now drop it and then assign a key and then give the action name for guidance to the users. 2. Now moving to the second function “SWIPE” click on it and then assign the keys in the dialog box. You can use four different keys for left, right and up or down. Now assign the action name, this will be only as a guidance when you start the app. 3. The third function is of “TILT” it can be used for specific actions when you tilt the screen right or left. One can also adjust the sensitivity level of tilt action. Right after you assign keys and action to them. 4. The Fourth function is “Zoom” this function can be use to zoom in OR zoom out in the app. Having any problem while mapping keys in any app with BlueStacks. Give up a comment here, we try to give a solution as soon as possible.